There are multiple options to fit the needs of today’s fleet, and when it comes to compliance and the ability to expand to do more, there’s no better solution than ELD Chrome, built on the award-winning OneView platform from Pedigree Technologies. We didn’t just stop at compliance; OneView’s ELD Chrome is the product of years of expertise and evolution led by listening closely to our customers and their needs. We built an FMCSA-compliant solution that reliably meets ELD regulations, offers full operational visibility, and is supported by exceptional customer service. 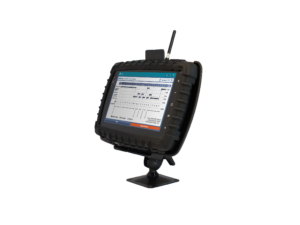 With over 12 years of experience in the ELD business (formerly AOBRDs), Pedigree Technologies has developed the most compliant, intuitive, and reliable solutions on the market. Drivers and fleet managers alike appreciate the ease of use and the superior support they receive. Reliable connections, on-device interactive training, breadcrumb navigation, and portable multipurpose devices mean ELD Chrome gives you the data you need and keeps you communicating with your team so you can get the job done. Got unassigned driving events? No problem! Find, assign, and log unassigned hours easily.